Worldwide distribution: Native to Europe and south-western Asia. Invasive species in North America. Local distribution: Common and widespread throughout Britain and Ireland. Habitat: Woodland, hedgerow, parks and gardens. Foraging season: Leaves in spring. Ground ivy is an evergreen creeper of the mint family, different to true ivy (Hedera Helix) and it’s often considered a nuisance for gardeners because it thrives in shady lawns. The kidney-shaped leaves are slightly aromatic and in full sun they are sometimes tinged with red. Funnel-shaped mauve flowers emerge in spring and are popular with bumblebees. 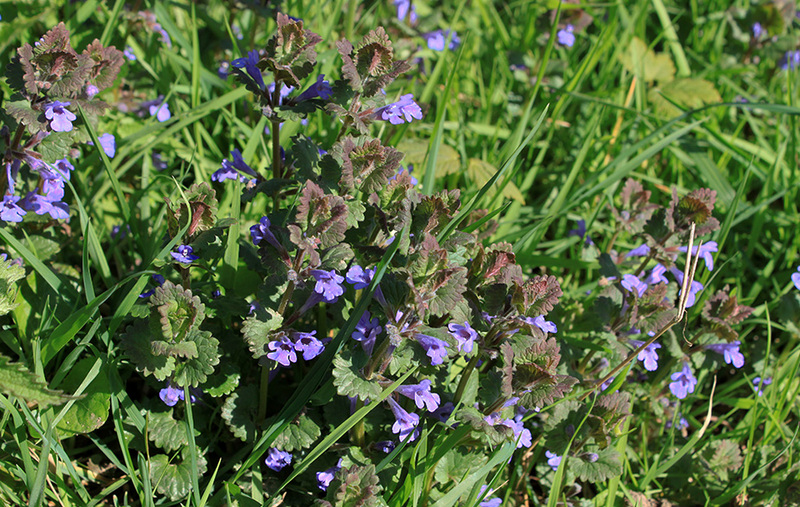 Ground ivy has a unique flavour, somewhere in between mint and sage with a mild bitter aftertaste. It can be used as an aromatic herb: just chop finely to add on soft cheese, omelettes and tomato bruschettas. 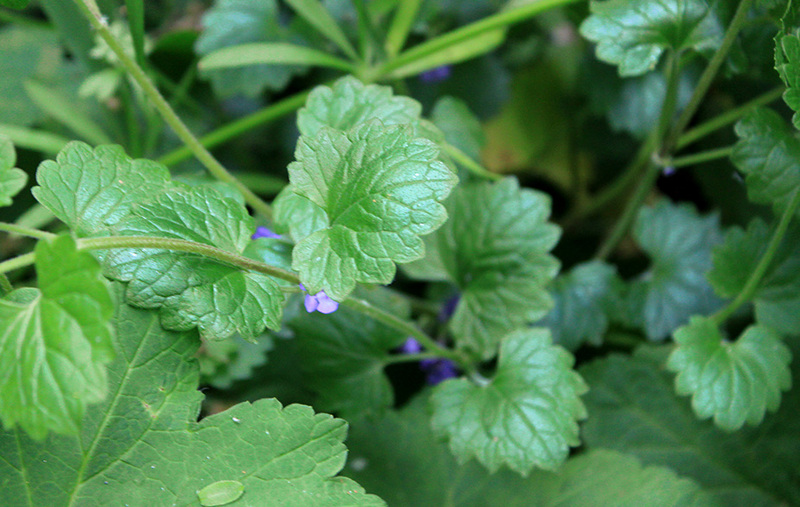 Ground ivy is effective to help alleviate throat and chest problems, especially those due to excess catarrh, relieving congestion and inflammation of the mucous membranes. Make a tea with the leaves and add a little bit of honey. It has a sharp and refreshing flavour that can be combined with lemon verbena or mint. 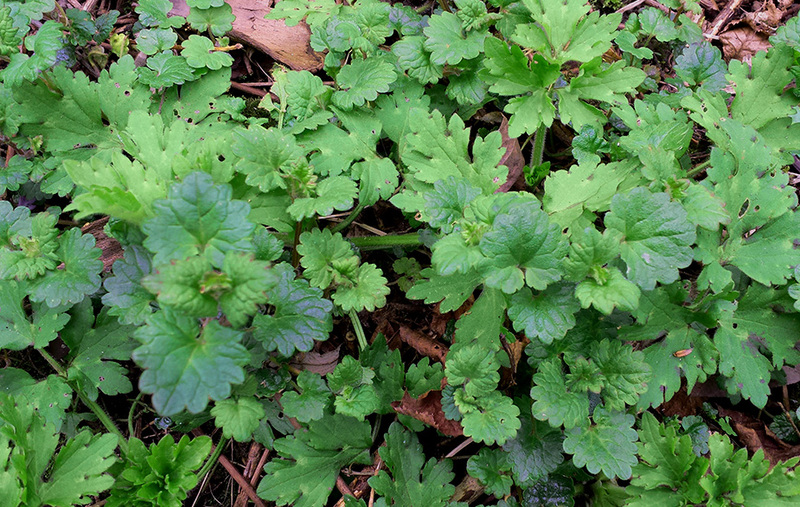 The name ale-hoof give us a clue that ground ivy has long been used to clarify and flavour beer before the introduction of hops and modern clarifying agents, as many other plants that has been used for this purpose.